This flower show was held in commemoration of Kim Il Sung's birthday - and featured an entire hall filled with some of the most intensely arranged flowers I've ever seen. There are even special breeds of flowers created especially for the leaders. 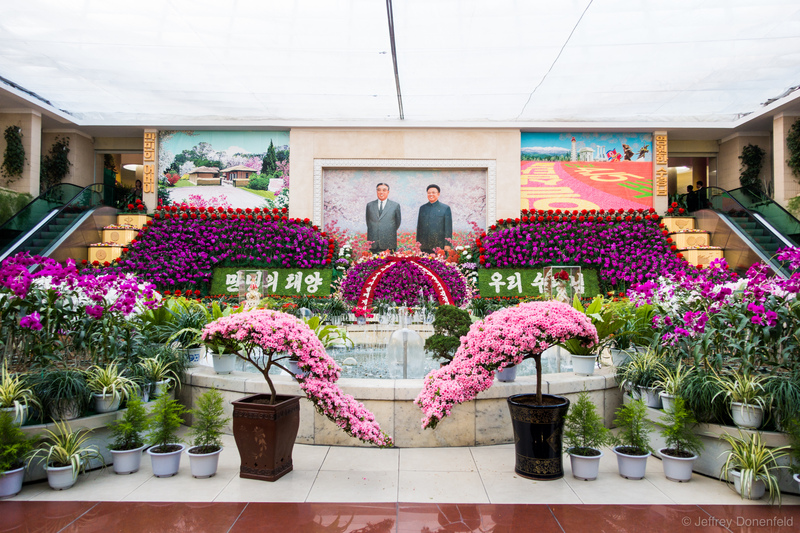 This flower show was held in commemoration of Kim Il Sung’s birthday – and featured an entire hall filled with some of the most intensely arranged flowers I’ve ever seen. There are even special breeds of flowers created especially for the leaders.